Kaitlyn Oelsner joined Tidewater Jewish Foundation last month as its new development associate/LIFE & LEGACY™ coordinator. 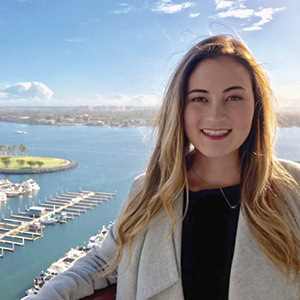 Oelsner recently moved to Virginia Beach from California after receiving her bachelor of science degree from Cal Polytech and her master of Health Administration from USC. She has a development background in healthcare, policy, advocacy, and community outreach. At TJF, Oelsner is overseeing the LIFE & LEGACY™ program and working closely with Scott Kaplan, president and CEO, on overall development and program initiatives for the Foundation. Oelsner may be reached at koelsner@ujft.org or 757-965-6103.